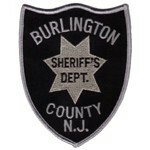 Burlington County Sheriff Jean Stanfield recently conducted an active shooter table-top exercise designed to prepare county and local agencies in the event of an attack on a county complex. “Unfortunately in today’s environment public buildings have become targets for those who seek to do harm to others,” Stanfield said. “Our top priority is keeping the thousands of residents and the hundreds of employees who come through our county facilities each week safe. The exercise, conducted at the Burlington County Emergency Services Training Center on Wednesday, June 23 covered planned responses to real-life scenarios, a review of existing policies and procedures, a summary of available resources, as well as establishing new and active lines of communication between agencies. “This exercise, and others like it, can ensure that all those responsible for the safety of our residents are working together and prepared even in the event of the unthinkable,” Sheriff said.